Liven it up with this metal wall decoration ! Party time for your design interior decoration. The dimensions of this design metal sculpture are 50 X 50 cm. The delivery is free in metropolitan France and Belgium for this metal modern deco. 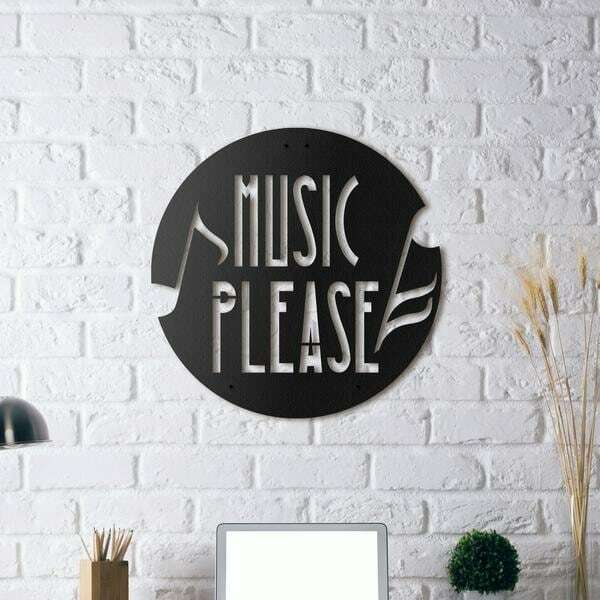 Music please! 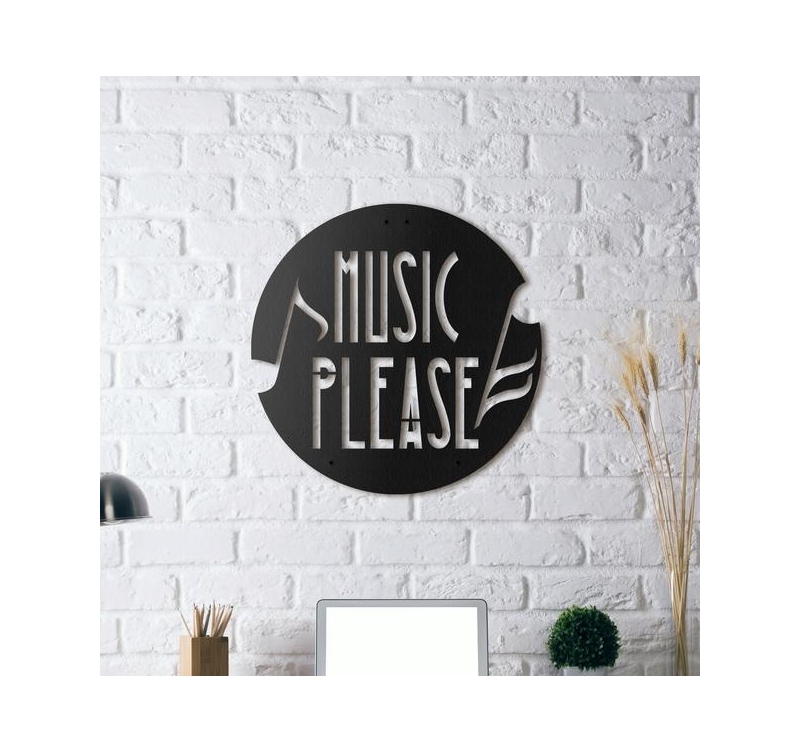 For all music lovers, here is a metal wall decoration just for you ! Ideal for an interior bar or a cosy ambiance, this design wall decoration will liven up your interior. The round shape with the words in the middle of the modern metal deco can easily match all types of room for lively evenings. Hanging up this contemporary metal wall decoration is very easy and the delivery is free in metropolitan France and Belgium. All our metal music decorations are hand made and treated with a black finish for a long lasting and unique quality.